I received this postcard in the post a few months ago from my son in Indonesia. It’s not an old card but a commemorative card produced by the Indonesian postal service to celebrate the first Asian African Conference which took place in April 1955 in Bandung. Twenty-five countries participated representing a total of 1.5 billion people. 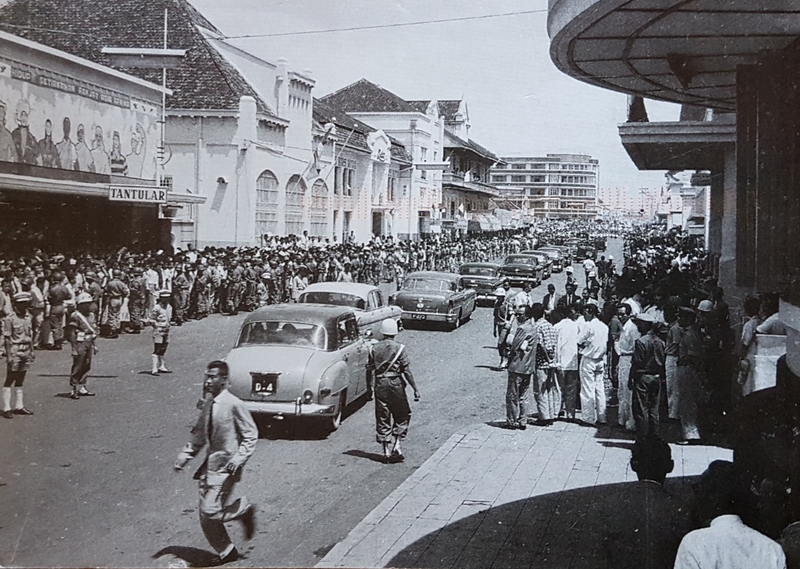 In the postcard we see a cavalcade through the streets of Bandung. I was there yesterday on holiday and sought out the location. Many of the old Dutch colonial buildings on the left have gone leaving empty building plots but many do still survive. Mostly the cars on the streets now are Indonesian-manufactured Japanese cars but just as I snapped this a classic VW bus rolled past. Thanks.